So, when is it ok to drink Corona? 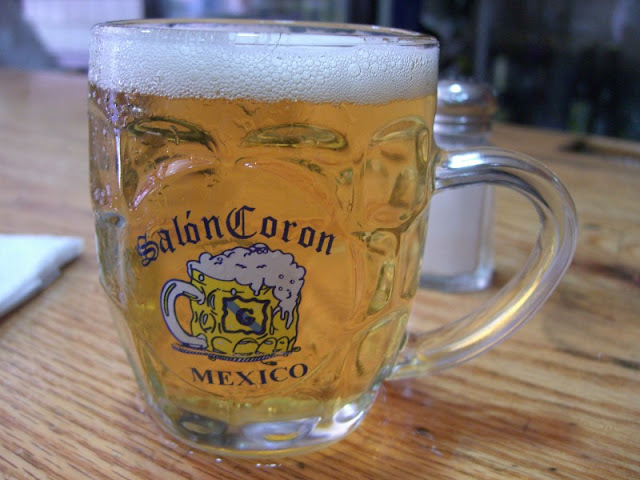 I'm not a huge fan of Mexican beers in general, and when selecting 0ne, Corona generally would not be my choice. 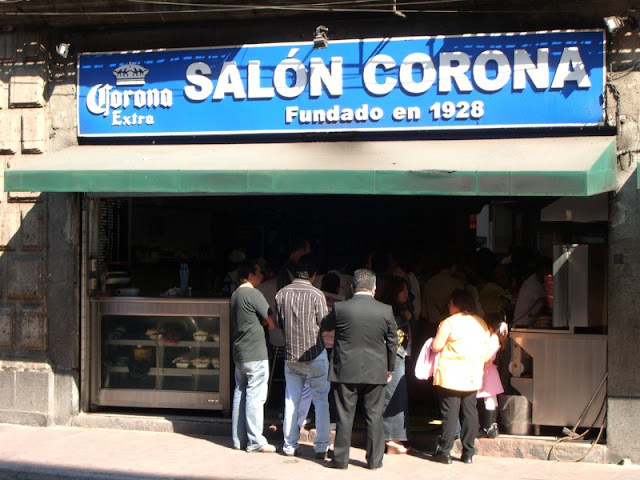 But it is hard to argue with the Salón Corona, a place that has been serving up draft beer (which is extremely rare in Mexico) since 1928. 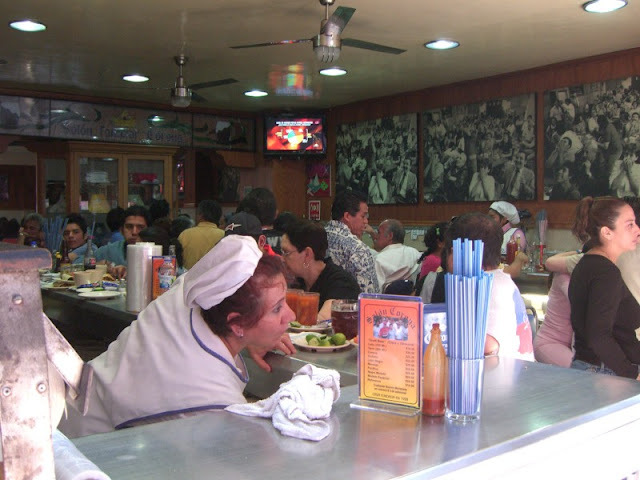 This place was a great recommendation from Good Food In Mexico City. They have a decent-sized room in the back, but both times we've gone we sat the bar in the small front area. They have a nice selection of tacos de guisado (we particularly liked the mole verde). 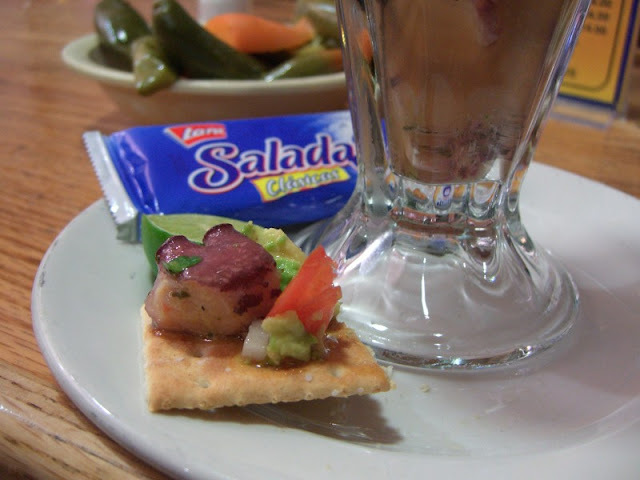 Our favorite food item, though, was the ceviche de pulpo. Large, perfectly textured chunks of octopus mixed with avocado and tomato. Piled up on a cracker and washed down with a caña (a 300ml glass) of cerveza clara - perfect. Mexico City - Happy Chinese New Year!